I’m not sure how I made it this far into life as an avid reader without reading anything by Max Lucado. 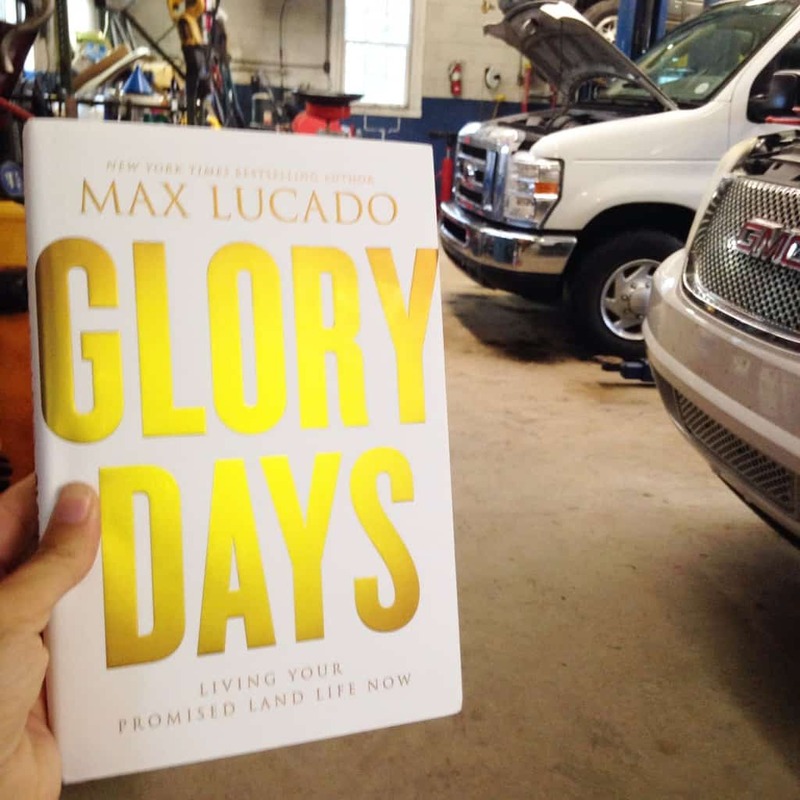 This month Family Christian sent Max Lucado’s latest book, Glory Days for review. Earlier this summer I read and reviewed my first Max Lucado book You’ll Get Through This. It felt like it was written just for me- as if Max Lucado knew my entire story and my emotions. Well, along came Glory Days this month and I can only say he did it again. Does Max Lucado read my blog?? Now, I want to go find everything Max Lucado has ever written and read every word. He’s definitely skyrocketed into my top 10 favorite authors of all time after reading these two books. If you are a regular reader you know that it’s been an especially rough few weeks around here. I found myself sitting in a teeny tiny auto shop, stealing the mechanic’s only stool as he did my (very late) inspection, and cracking Glory Days open for the first time. Sometimes the challenge is just too much. You want to keep up. You try. It’s not that you don’t. You just run out of fight. Life has a way of taking the life out of us. Max Lucado goes on to say that the book of Joshua teaches us to believe that the best is yet to come. The Glory Days await. And I found myself in tears right there in that little auto shop. Obviously this book landed in my lap at just the perfect time. Just like the last one. 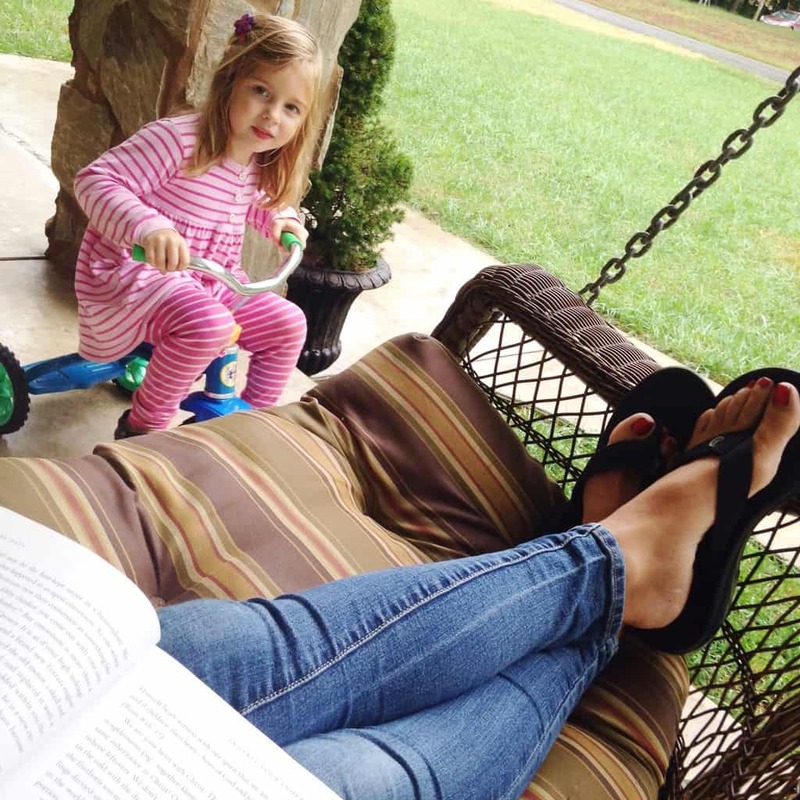 For the rest of the week, I followed my children book in hand as they played, soaking in encouragement and wisdom. Growing up in church I heard the story of Jericho a million times. Its a story told over and over again, and yet all these years I missed something. Why did God send Hebrew spies into Jericho? Did he not already know exactly what they would find? Did he plan to send the Hebrews in to conquer the city? Nope, he supernaturally knocked the walls down. Maybe the only reason the spies went to Jericho was to rescue Rahab… a prostitute. God didn’t care what she was, he only cared that she believed. And he rescued her! That’s the lesson in Joshua… God will keep His promises. We might not understand the path He’s taking, or the why of our situation. But we can rest assured that He will never leave us and that Glory Days are ahead. Our past doesn’t matter because even yesterday’s biggest failure won’t keep God from those promises. If you are feeling far from your Glory Days, grab this book (and a highlighter). Get ready to find your promised land! This sweepstakes is open to US resident over the age of 18. It starts right now and ends October 16th, 2015 at 11:59 pm EST.